James Chadwick, the discoverer of neutron, a constituent of the nucleus of an atom, was born in Manchester, England on October 20, 1891. He was the eldest son of J J Chadwick. After completing his schooling from the local school he joined the famed Victoria University in Manchester. He acquired his post-graduate degree in 1911. He received a scholarship and went to Charlotenberg, Germany for further study in 1913. Chadwick studied under Hans Geiger at the Technische Hochschule, Berlin. When the World War I broke out in 1914, the Germans captured him and sent him to a labour camp. There was some solace when he met some scientists there and discussed problems in science with them. Thus, he continued his studies mentally on the subject of his interest. When the war ended, he returned home in 1919. Around the time of his return to Manchester, Lord Rutherford had for the first time made it possible to separate hydrogen and oxygen through artificial transformation. He worked with Rutherford for a while and then got on with his research. 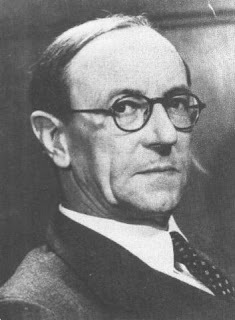 But in 1921, when Rutherford succeeded sir J J Thomson as professor of physics at Cavendish Laboratory, he invited Chadwick to join him. Chadwick accepted it happily. First of all, he completed his thesis and submitted it to the University. 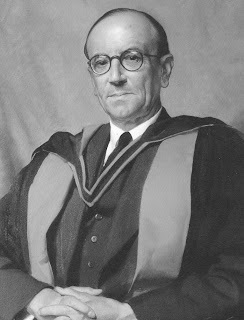 In 1921, he received doctorate from Cambridge University. He took up lectureship at Cavendish Laboratory and also assisted Rutherford in his research. What happens if the nucleus of an atom of an element is bombarded with high energy alpha particles? Can some new element be found out by doing so? He got down to solving these mysteries. He also wanted to know the structure and size of the nucleus. In 1922, Rutherford and Chadwick discovered ‘proton’ when they bombarded alpha particles on nitrogen nucleus. In 1925, Chadwick married Eileen Stuart Brown of Liverpool. The same year he was appointed assistant director at the laboratory. In 1920, Scientist Williams Hawkins had predicted the presence of a neutral particle in a nucleus. Many years later, Chadwick discovered this particle called the neutron. For this, Chadwick was awarded the Nobel Prize for Physics in 1935. 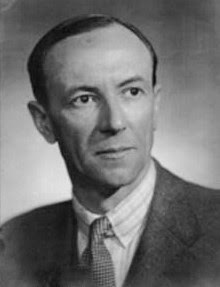 During the same year, he resigned from Cambridge due to different of opinion with Rutherford on building a new device called cyclotron. He then joined Lavon Jones Institute in Liverpool University as Professor and built the first cyclotron in UK. In the wake of World War II in 1939, it was decided to bring both British Atomic Project and America’s Project at Manhattan together. In 1941, as part of the British Project, he joined the Tube Alloys Project. Two years later, he went to America, He became the scientific advisor to the American-British-Canadian Policy Committee at Oakridge. He was also associated with Robert Oppenheimer’s team working at Los Alamos, New Mexico, USA. This team was working to produce an atomic bomb to end the war. July 16, 1945 was set for the test of the atomic bomb. The bomb was planet on a 32 ton 100 feet tower erected at Gyro Hill- Alamogordo air base in the desert 120 miles southeast of Albuquerque, New Mexico. At 5.30 in the morning, at a control room, 9 miles (14.5 kms) away from the site, in the presence of about 100 scientists a robot pressed the button. An immense fireball rose in the air. The blast was so loud that it was heard 450 miles away in Taxas. The smoke covered the area of 7 miles. The tower has melted with the heat energy produced. The test was declared successful and the scientist’s job was over. On August 6, 1945, the first atom bomb was dropped on the Japanese city of Hiroshima. In a short while, around 6000 people were killed, 40000 were rendered blind and 20000 gradually became the victims. The entire city had turned into a big graveyard. The second atom bomb was dropped on Nagasaki on August 9, 1945. Japan immediately surrendered and World War II came to and end. Many atomic scientists believe that such use can only cause mass destruction and unhappiness. Scientists believe that this demon can be tamed and used constructively, to make life happy and prosperous in this world. By 1945, Chadwick was known all over the world as an extraordinary, cultured and self-possessed man. He was also known as a calm, composed and selfless scientist. The British government conferred knighthood on him and appointed him the National Science Advisor. He also served as the British representative to the American Atomic Energy Commission. Besides his being awarded the Nobel Prize in 1935 for the discovery of the neutron, many international universities and scientific institution honoured him. In 1946, he received the Merit Medal of the USA. 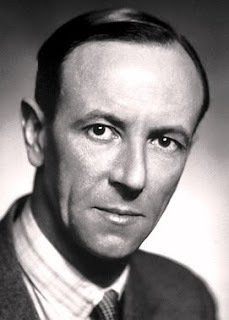 In 1950, the Royal Society of England conferred on him the Copley Medal. Franklin Institute, Philadelphia awarded him the Franklin Award. The American Physics Society and other reputed institutions offered him honorary membership. Since 1957 he was associated with the United Kingdom Atomic Energy Institute as part-time member. Many reputed science periodicals and journals published his articles and research papers. He also wrote on radiation in several magazines and reputed newspapers. These were very informative and useful for scientists, science teachers and the public, at large. In 1930, in collaboration with Lord Rutherford and Sir Charles Ellis he wrote a reference book titled ‘Rays Emanating from Radioactive Substances’. The revised edition was published in 1933. On July 24, 1974, at Cambridge, Cambridgeshire, England, this great scientist passed away at 84. May his invaluable contributions be used for constructive purposes in this world. It is only the future that can reveal whether this discovery of nuclear energy would be beneficial or detrimental to the world.